Born into wealth, Theodate Pope Riddle broke with convention by becoming a self-taught architect. After her education at Miss Porter’s School in Farmington, Theodate absorbed European architectural influences while on Grand Tour. Back in Farmington, she restored an 18th-century house and in 1901 created a home, Hill-Stead, for her parents. In 1918 she was accepted into the American Institute of Architects and, in 1933, became only the sixth woman licensed as an architect in Connecticut. Her Avon Old Farms School project embodied another of her interests: education. She not only designed the campus to foster moral and intellectual values, she formulated its guiding vision and curriculum as well. 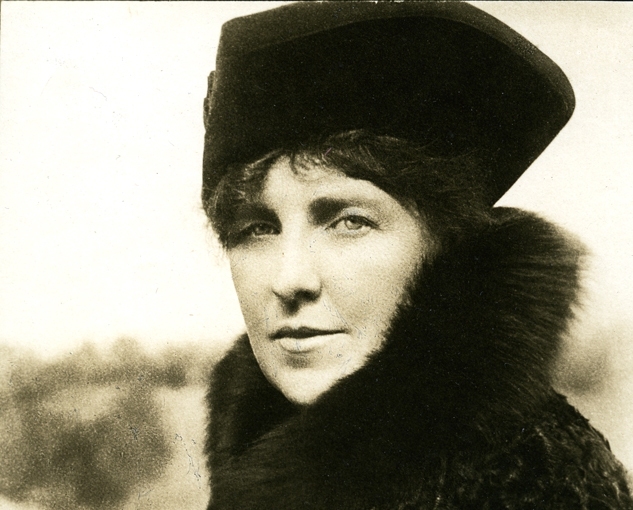 Today, Hill-Stead is, according to Theodate’s wishes to honor her parents, a public museum. “Theodate Pope Riddle.” Connecticut Women’s Hall of Fame, 2017. Link. “Archives: The Family Papers and Photographs of Alfred Atmore Pope, His Wife Ada Brook Pope, Their Daughter Theodate Pope Riddle, and Her Husband John Wallace Riddle.” Hill-Stead Museum, 2015. Link. Katz, Sandra L. Dearest of Geniuses: A Life of Theodate Pope Riddle. Windsor, CT: Tide-Mark, 2003. O’Gorman, James F., ed. Hill-Stead: The Country Place of Theodate Pope Riddle. New York, NY: Princeton Architectural Press, 2010. Hewitt, Mark Alan, and Richard Cheek. The Architect and the American Country House: 1890-1940. New Haven; London: Yale University Press, 1990. Emeny, Brooks. Theodate Pope Riddle and the Founding of Avon Old Farms. Avon, CT: Avon Old Farms, 1973. Paine, Judith, Theodate Pope Riddle, and United States. National Park Service. Theodate Pope Riddle, Her Life and Work. Washington, DC: National Park Service, 1979.